Instead of making fans wait for their infamous Super Bowl commercial, Pepsi has released the entire 60-second ad online. Titled "King's Court," the ad features Elton John and X Factor USA winner, Melanie Amaro. If you watch all the way until the end, you'll even see a brief cameo from Flavor Flav. 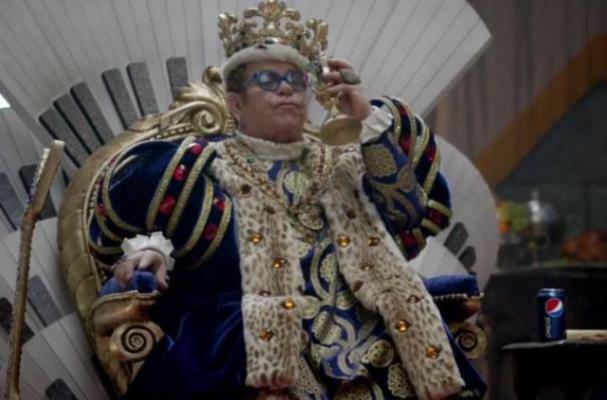 "Pepsi wanted to make me 'King for a Day' on Super Bowl Sunday. How could I possibly pass that up?" John said in a statement. "Never in my wildest dreams did I ever think I would be starring in a Pepsi Super Bowl commercial, following in the footsteps of some of music's biggest legends," Amaro said. Check out Pepsi's Super Bowl commercial in the video below!